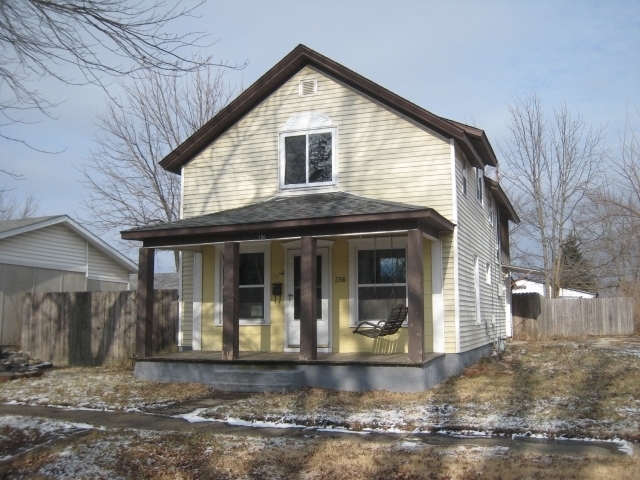 Affordable three bedroom home with two baths in northwest Auburn. Exterior has vinyl siding and some replacement windows. Enjoy the warm days ahead on the large covered front porch. Living room has an open stairway and a unique arched display shelf. Kitchen has eating bar and decorative range hood. Large bath has hardwood floors and a unique stone bath tub. The three bedrooms upstairs are nice large rooms with some big closets. Covered patio across the back of the home and a big yard inside a stockade privacy fence. Home needs some updating. A lot of space for a great price. Off street parking. Taxes do not reflect a homestead exemption.